Will Q3 finally see the launch of the iWatch? 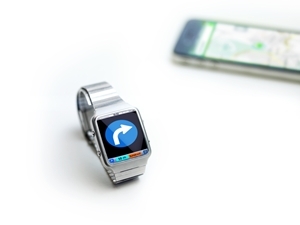 Home » MC Services Blog » Will Q3 finally see the launch of the iWatch? The "iWatch" remains the cryptozoic beast of the Apple product line. Many people are talking about its existence, some have seen blurry photos that confirm it being real and there are more rumors than you can shake a stick at​, but thus far nothing has been confirmed. However, the growing demand for wearable technology makes it clear that there is a marketplace for this device. A recent article from MacRumors believes that Apple is currently targeting the third quarter of 2014 for the launch for the iWatch. This report comes from a Taiwan's Economic Daily News that claims devices are currently be created by supplier Quanta Computer. It will be made with Richtek Technology and TPK supplying chips and the sapphire touch panels, while Apple develops the processor. The goal is to have 65 million devices ready to go by the 2014 holiday shopping season. Because the device is going to be paired with other Apple devices, a late year launch alongside a new iOS and iPhone makes sense. "While the exact features of the iWatch are currently unknown, past rumors have indicated that the device will feature biometric sensors to track a number of health-related statistics, including sleep activity, UV light exposure, and heart rate," the article reads. "A 'Healthbook' companion app is also said to be in the works for iOS 8, which would integrate with the iPhone and iWatch to monitor and track other health statistics." When this device finally becomes reality, it will suddenly become part of office BYOD solutions because it is paired with the iPhone and iPad. An IT consulting firm that specializes in Apple support can help any organization prepare for this new technology.